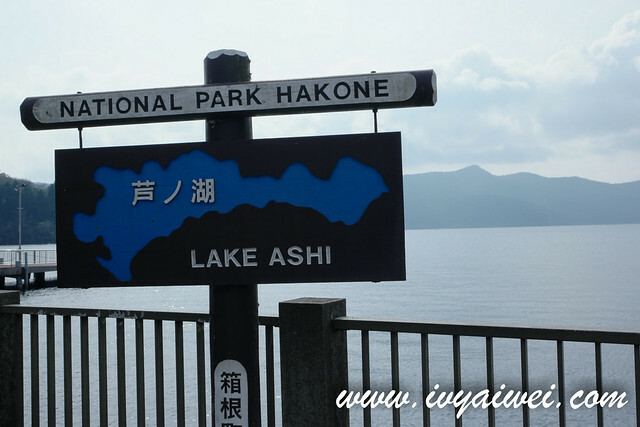 Located at the foot of marvelous Mount Fuji, Hakone is a place that is famous for its natural hot springs and magnificent view of the calm Lake Ashi. It is often a top pick destination among the Japanese who reside in Tokyo to drop by for a short trip or an onsen bath. Also, this is a great place to have the full view of Mount Fuji, either from the land, from the ‘air’ or from the water. Travel to Hakone is a breeze by Odakyu Limited Express “Romance Car. It is just a merely 85 minutes away from Shinjuku on Romance Car. However, there is a need to top up ¥ 890 (one way) from the normal ticket / pass. 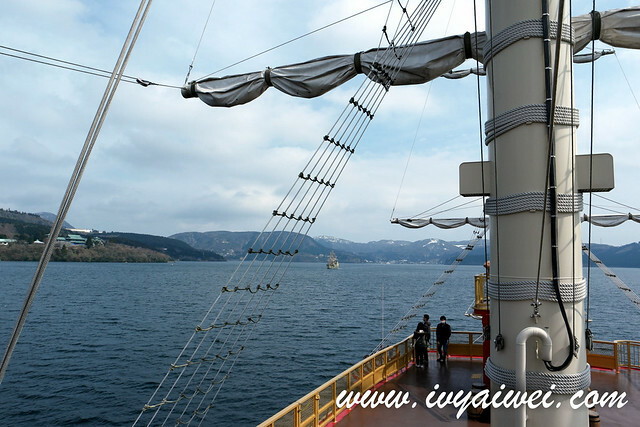 Alternatively, you may choose to travel to Hakone by express train (1 hour 35 mins) or regular train (2 hours 14mins) on Odakyu Line ,or by Odakyu Highway Bus but the travelling time is about 2 hours 30 minutes depends on the traffic, which is longer. If you are planning to travel to Hakone, I will suggest you to get the Hakone Free Pass, a special sightseeing pass that includes not only the return transportation between Hakone and Shinjuku, but also unlimited ride on transportation such as trains, buses, cable car, sightseeing cruise and ropeway in Hakone area. It costs only ¥ 5,140 for 2-day pass and ¥ 5,640 for 3-day pass (from Shinjuku). It looks expensive at the first glance but then it saves quite a lot if compared to paying for each mode of transportation separately. This pass also enables you to get some discount from certain facilities. Simply present this pass at hot spring resorts and souvenir shops. 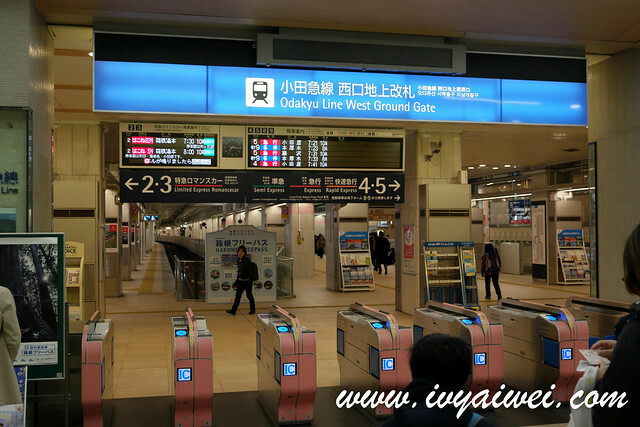 You may purchase the Hakone Free Pass from Odakyu Sightseeing Service Center at Odakyu Line Shinjuku Station West Exit, or Tourist information Center in Shinjuku Station, or you may pre-book your pass from KLOOK and then pick up the pass from Odakyu Sightseeing Service Center. 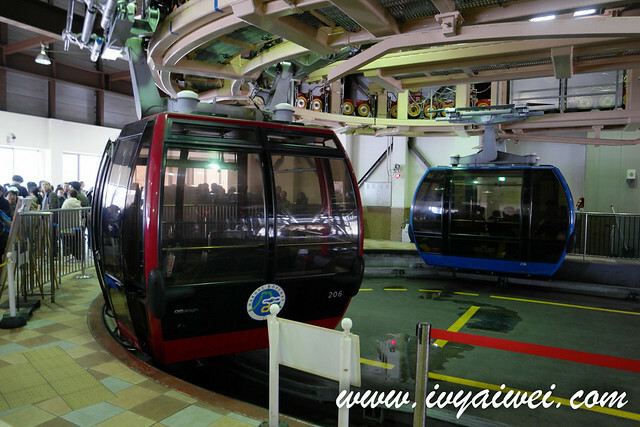 Hakone Ropeway is connecting the Sounzan Station (at the terminal of Hakone Tozan Cablecar) with Togendai Station(at the shore of Lake Ashinoko) and stops at Owakudani Station and Ubako Station along the way. on your ride, you may able to get the view of the Owakudani Valley, Lake Ashinoko and if you are luckly, you will be able to see the Mount Fuji from here! 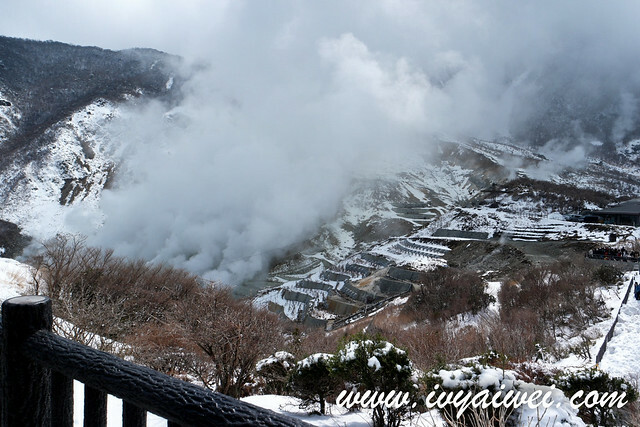 Owakudani is a popular tourist site for its scenic views and volcanic activity. 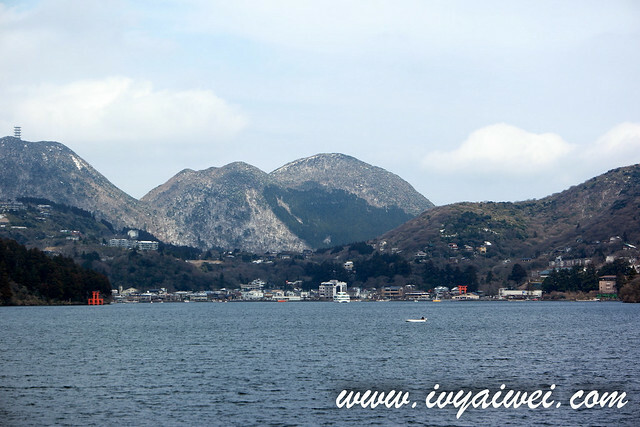 It is the area around the crater created due to the eruption of Mount Hakone which happened few thousand years ago. 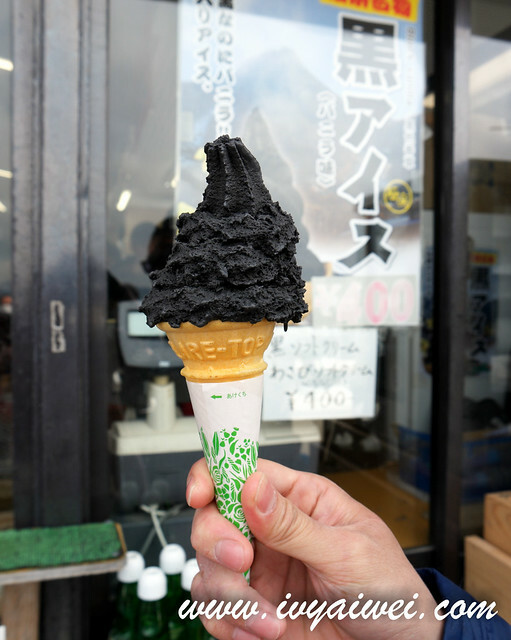 It is also very famous for its local specialty – the black egg (kuro tamago). 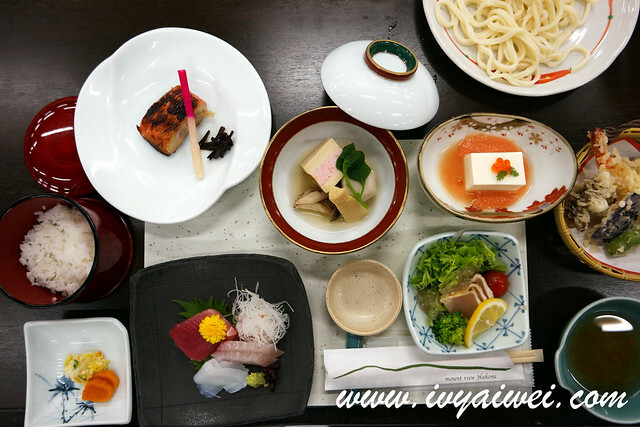 It is cooked in the natural hot spring water and the shell is blackened by the sulphur. 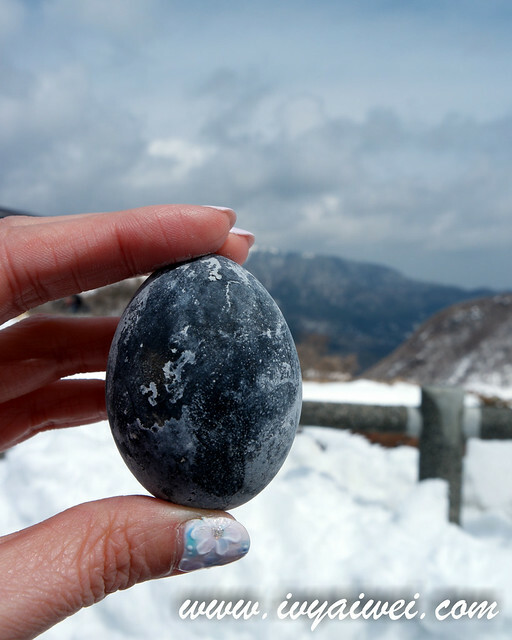 It is said that the black egg will prolong one’s life by seven years! Owakudani is a station along Hakone Ropeway between Sounzan and Togendai. 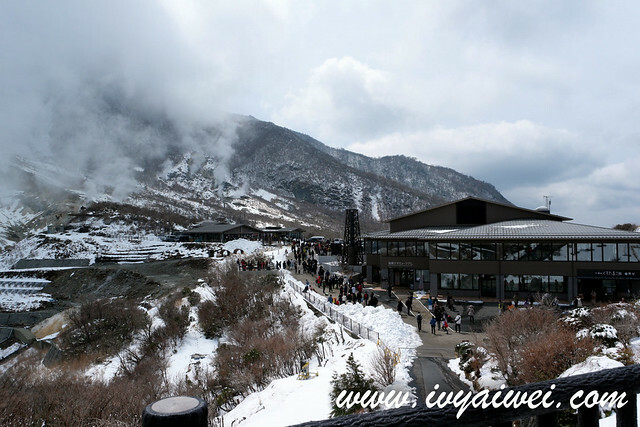 Sounzan is accessible from Hakone Tozan Railway and cablecar with a transfer at Gora Station. Togendai is on the shores of Lake Ashinoko and connected by boat with Moto-Hakone and Hakone-machi. 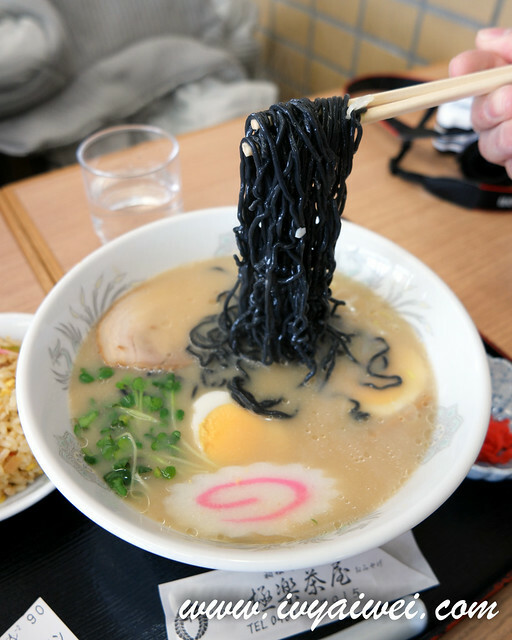 Not just the black egg, but the Ramen and ice cream are in black too! 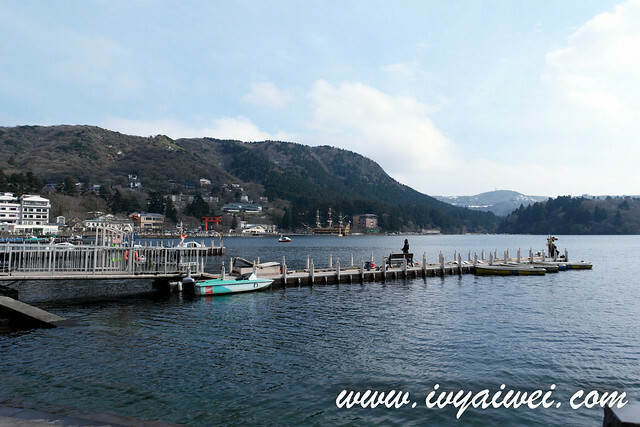 Lake Ashi is another well-known attraction in Mount Hakone area, formed due to volcanic eruption. 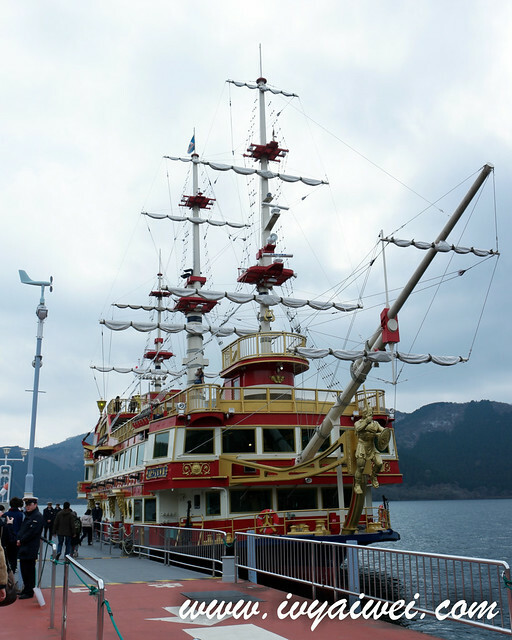 You may get to enjoy a picturesque view of both lake and Mount Fuji on the cruise ride. The journey takes about 40minutes from one end of the lake to the other end. 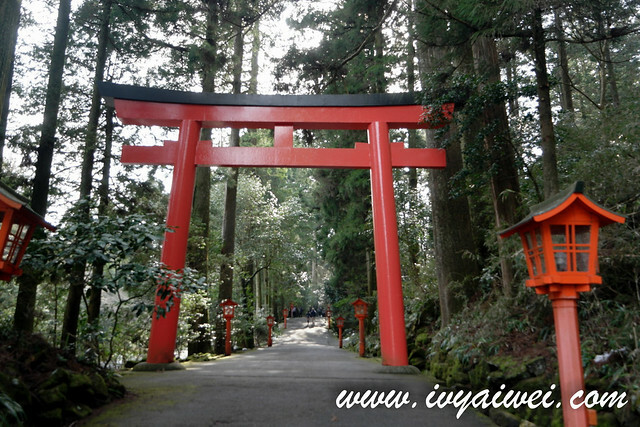 Or Hakone Jinja is a shrine that stood on the foot of Mount Hakone, along the shores of Lake Ashi; while its torii gate stood spectacularly on Lake Ashi, as though like floating in the water. Pretty insta-worthy here. 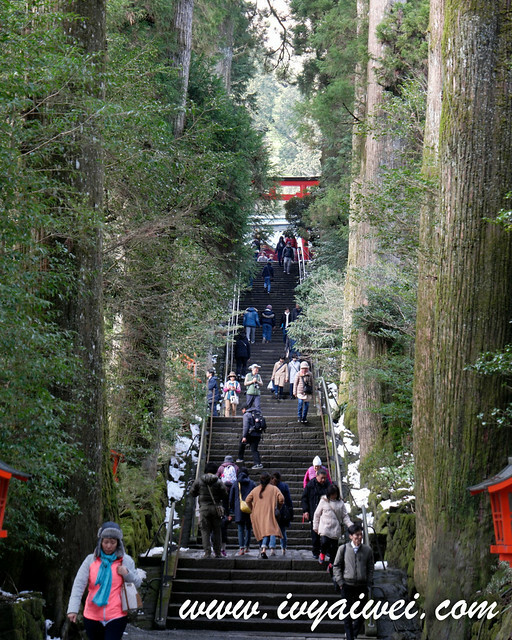 There are cedar trees lined along both side of the path that leads towards the shrine, creating the holy atmosphere in the Hakone Shrine. 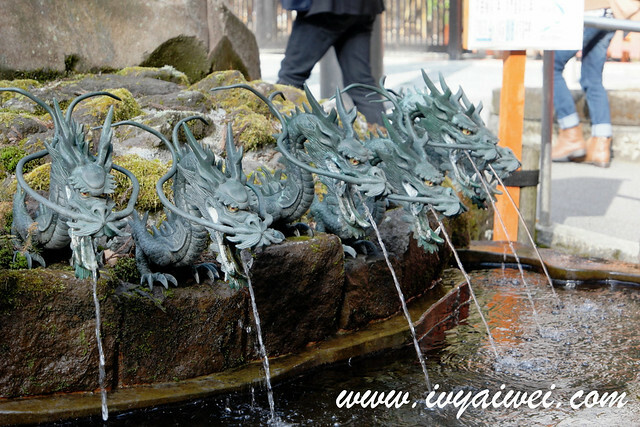 There is this special 9-Headed Dragon purification basin in the shrine and you may observe the holy water comes right out from each head of the 9-Headed Dragon. People usually wash their hand and fill the water into bottle. Here, is also famous for the Baby Wishing Tree, a sacred tree where it is believed that if the woman touches the tree, she will get pregnant. People come here wishing for baby and pray for safe delivery. Remember to wash your hand at the 9-Headed dragon water basin before touching the tree. Hakone Shirine is about 5 minute walk from Moto-Hakone boat pier, which can be reached by the boat. It is also about 35 minutes from Hakone-Yumoto Station by Hakone Tozan bus (H Line), stop at Motohakone-ko bus stop. Fee: covered by Hakone Freepass. I strongly recommend you to stay at least one night here in Hakone. 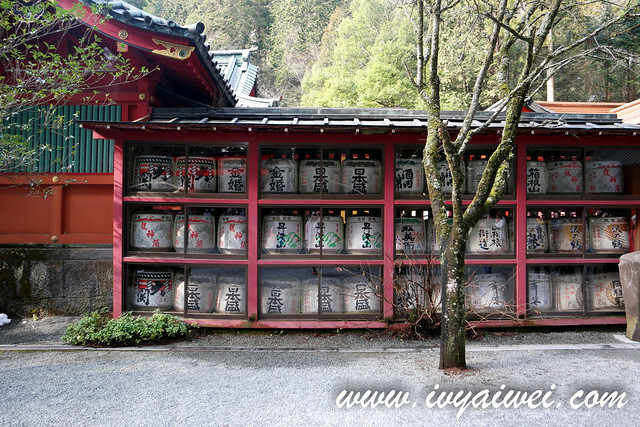 There are many hot spring hotels and ryokan in Hakone. 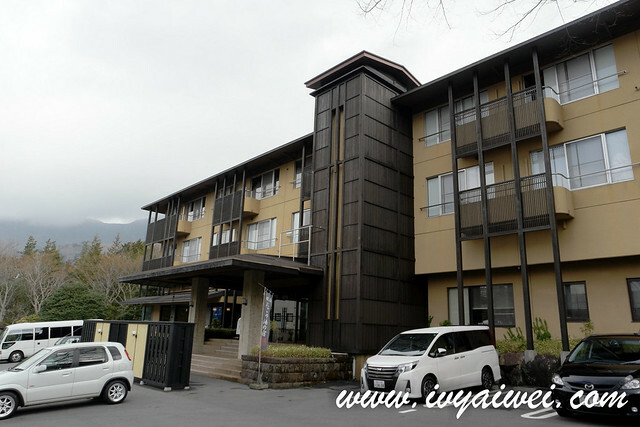 I chose Hotel Mount View Hakone after checking out that it is equipped with rare volcanic hot spring water called nigori-yu, which is appeared in milky colour that can diminish the fatigue of the body. The hot spring’s thermos therapy effect is able to alleviate the muscle spasm, improve joint fluid viscosity, boost immune system, enhance the extensibility of tendon tissues, and even burn calories! More dips, why not?! 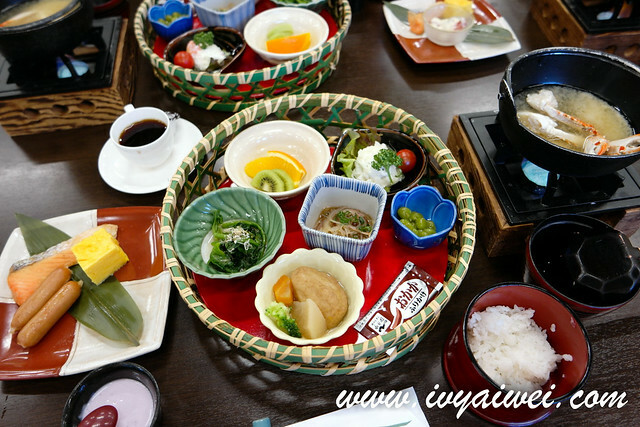 This onsen hotel serves Japanese style breakfast which consists of multiple dishes that feature the use of local ingredients and seasonal items. It was so awesome that I finished up everything, including the bowl of rice. Will do a full piece of review on this hotel! From Hakone Yumoto Station, take the T bus on Hakone Togendai Line and stop at Sengokuhara-bunka-center-mae (journey takes about 40 minutes). The hotel is in front of the station. 7. Have a dip in hot spring water in your swim suit! 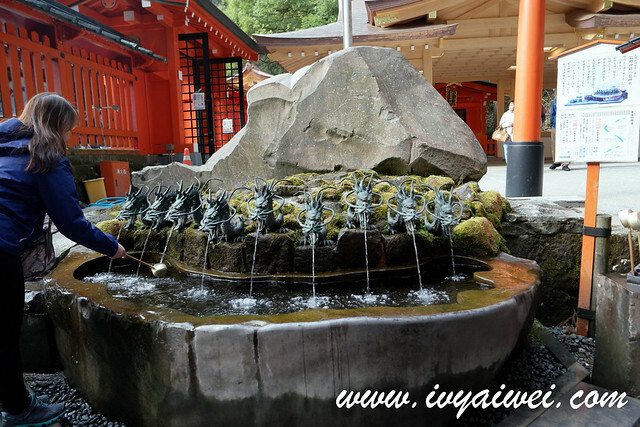 Here is one of the must do in Hakone; dip into the hot spring water!!! If you are too shy to have a dip in the public bath naked-ly, make a visit here where you can wear your swim suit and luxuriously splash the hot spring water! 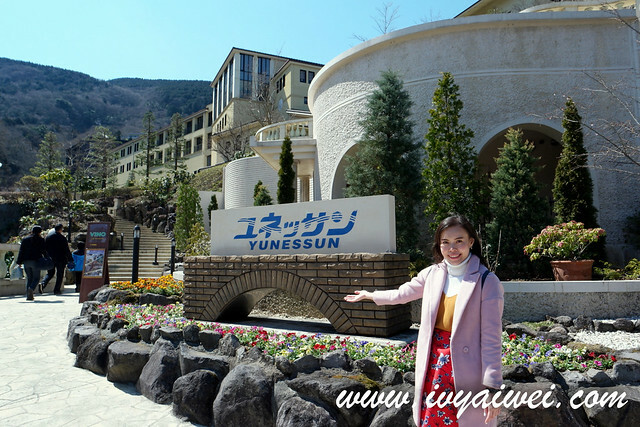 Yunessun Hot Spring & Spa Resort is more like a water theme park than hot spring alone, a leisure facility that best for families and friend to come together. 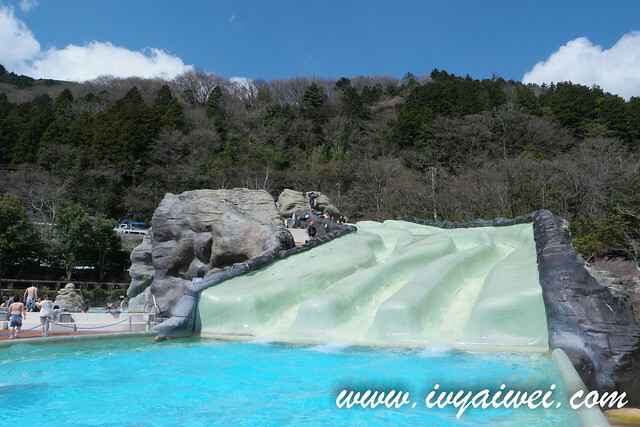 It is divided into zones; Yunessun is the themed pool where you can have fun and enjoy the dips in your swim suit; Mori No Yu is the open-air hot spring that filled with Japanese atmosphere but this is considered as a naked zone (men and women in separated bath, of course). Ride the Hakone Tozan Bus or Izuhakone Bus in the direction of Moto-hakone-ko/Hakone-machi and get off at the Kowakien Stop. Yunessun Inn is a 5-minute walk via the indoor connecting passageway from Hakone Kowakien Yunessun. 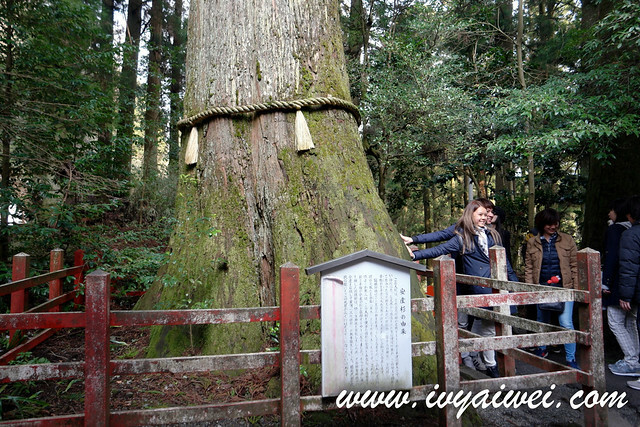 Ride the Izuhakone Bus in the direction of Kojiri/Hakone-en and get off at the Yunessun Inn Stop. Never skip this place if you love shopping. 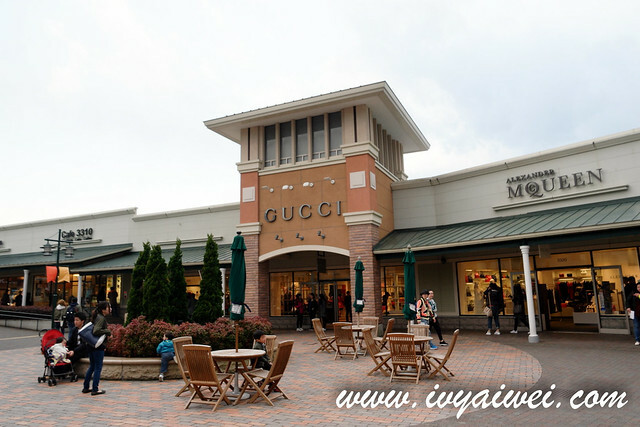 An outlet mall located within the view of World Cultural Heritage site, Mount Fuji; in Gotemba, is one of the largest outlets in Japan. 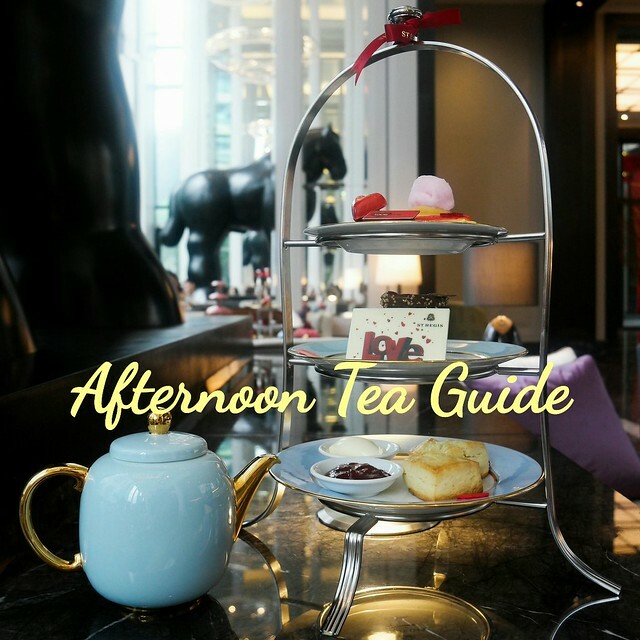 Here, you may find a total of 210 outlet stores that consist of international brands as well as local brands and a number of restaurants, food court and a ferris wheel. Do prepare yourself at least half day over here and a large amount of cash (or credit card), and shop till you drop! The stuffs are priced affordably and you may surely find something you like from here. I often came out with bags after this trip here. 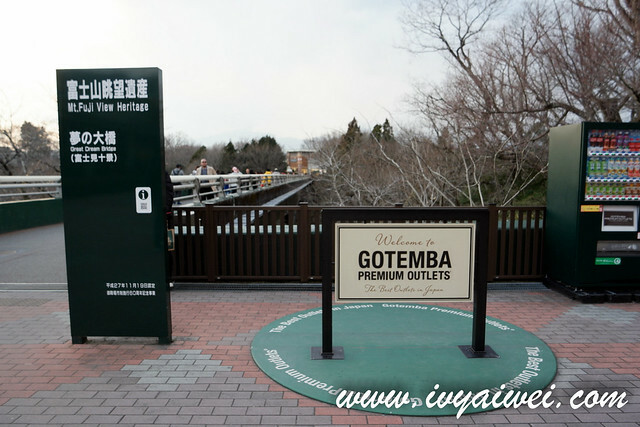 Gotemba Premium Outlets is located on the outskirts of the city, not very far from Hakone. Free shuttle bus is available from JR Gotemba Station at Otomeguchi Exit. The journey takes about 20 minutes. Closed on the third Thursday in February. 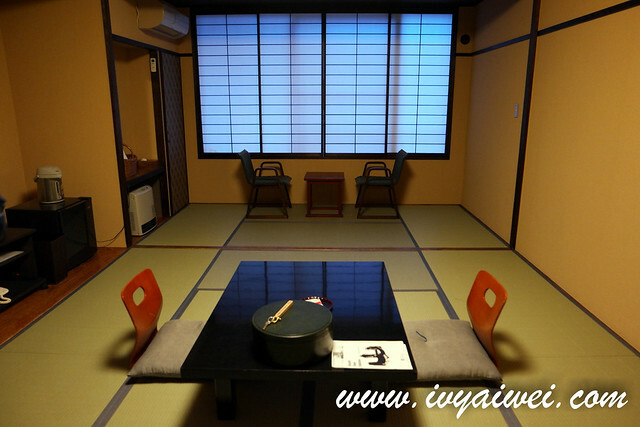 Yes, there is private bathroom with proper shower in the tatami style room. You don’t have to worry about that. Whereas hot spring area is the public bath. Remember to check out the room ‘s feature when you book ya.